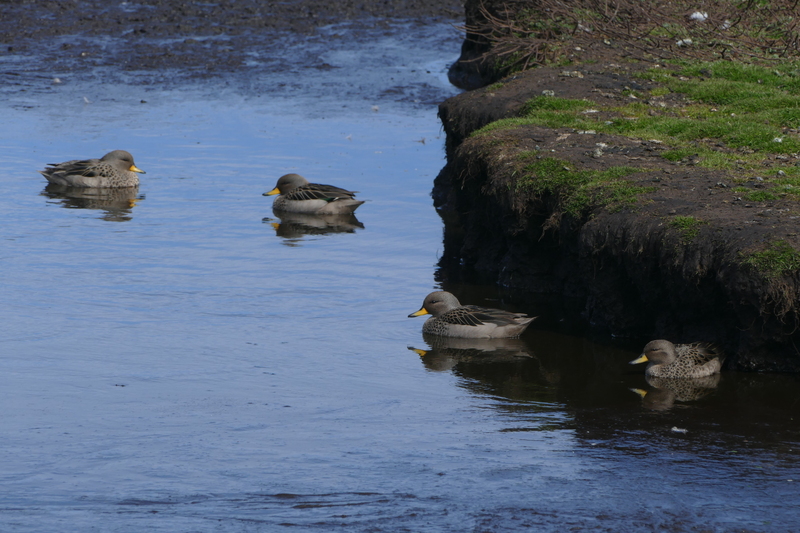 The yellow-billed teal is a South American species of duck. It occurs in Argentina, the Falkland Islands, Chile, Peru, Bolivia, Uruguay, and Brazil. It has also established itself in South Georgia, where it was first recorded breeding in 1971. It inhabits freshwater wetlands, preferring palustrine habitat to rivers.